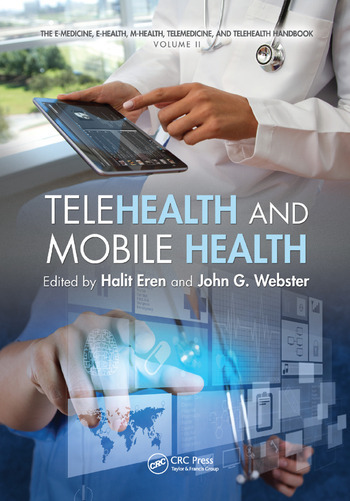 The E-Medicine, E-Health, M-Health, Telemedicine, and Telehealth Handbook provides extensive coverage of modern telecommunication in the medical industry, from sensors on and within the body to electronic medical records and beyond. The E-Medicine, E-Health, M-Health, Telemedicine, and Telehealth Handbook bridges the gap between scientists, engineers, and medical professionals by creating synergy in the related fields of biomedical engineering, information and communication technology, business, and healthcare. Halit Eren received his B.Eng, M.Eng, and Ph.D degrees from the University of Sheffield, UK, and MBA from Curtin University. He has worked as an instrumentation engineer, and held positions of assistant professorship at Hacettepe University and the Middle East Technical University; associate professorship at Hong Kong Polytechnic University; visiting professorship at the University of Wisconsin; and visiting scholar at the University of Sheffield. Dr. Eren has been conducting research and teaching at Curtin University for more than 30 years. He currently holds an adjunct senior research fellowship at the university. Widely published, Dr. Eren is a senior member of the IEEE. John G. Webster received his BEE from Cornell University, and his MSEE and a Ph.D from the University of Rochester. Dr. Webster is currently professor emeritus of biomedical engineering at the University of Wisconsin. Previously, he was a highly cited researcher at King Abdulaziz University. Widely published, Dr. Webster is a fellow of the IEEE, ISA, AIMBE, BMES, and IOP. He has been a member of the IEEE Engineering in Medicine and Biology Society Administrative Committee and the NIH Surgery and Bioengineering Study Section, and the recipient of the IEEE Engineering in Medicine and Biology Career Achievement Award.